Victor Cheng, is now a strategic adviser and consultant to owners of mid-size business with $1M – $25M in sales and a speaker and expert on business issues. That’s his day job. When he’s not working at his day job, he advises applicants to McKinsey & Company and other elite strategy consulting firms how to join those firms. And it’s in this capacity that Linda invited him to Admissions Straight Talk. Listen to the full recording to hear Victor’s insider advice and insights. 00:02:01 – Why is a podcast about admissions worrying about post-graduation careers? 00:02:30 – Meet Victor Cheng, Author of Case Interview Secrets, and former McKinsey consultant, resume screener, and interviewer. 00:03:33 – Caseinterview.com beta: Victor’s senior year of college. What a story! 00:07:04 –3 changes in how McKinsey selects candidates. 00:09:56 – If you don’t like case interviews, you probably won’t like consulting. Really. 00:16:56 – IQ and EQ. Equal factors? 00:18:47 – Victor’s advice for liberal arts graduates who’d like to break into management consulting. Poets, this discussion is for you. 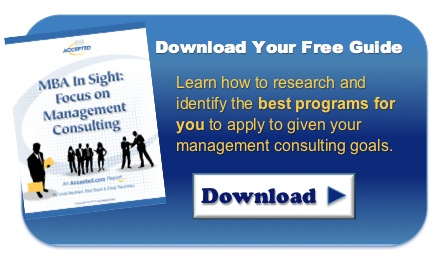 00:23:20 – What is the difference between the skill sets that the top consulting firms are looking for. Or is there a difference? 00:24:22 – How to project confidence without arrogance, and other great advice on self-confidence in a case interview. 00:29:46 – Check out Case Interview Secrets. Learn what to do and why to do it. Subscribe to Admissions Straight Talk in iTunes to keep up with the latest in admissions news and trends! You know you want to give us a 5-star rating! Stitcher fans, we’ve got good news! Admissions Straight Talk is now available on Stitcher! Check it our here. Last updated on November 24, 2013.